UK Contractor Mortgages Advice You get the best UK contractor mortgages advice here. Some contractors, when they want a mortgage, wander hopefully into a hig street bank or building society. They are then disappointed, if they are not experienced contractors, when the bank or building society demand to see three years worth of accounts. New contractors are then told to go away for a few years. Even if they have those accounts they are further disapppointed when they are given a mortgage offer which is based on their Director's salary. They would have been better off applying for a mortgage when they were a permanent worker. [caption id="attachment_924" align="alignnone" width="259"] UK Contractor Mortgages Advice using specialist brokers[/caption] Specialist Contractor Mortgage Brokers The best UK contractor mortgages advice that I can give is for contractors to seek out a specialist contractor mortgages broker. They can get contractors mortgages which are based on their daily rate annualised. So, if a contractor got £400 a day that would be a weekly rate of £2,000. Their annual income would be calculated as 48 times that, or £96,000 a year. To get the mortgage offer you would multiply that by 4 giving a mortgage offer of close to £400,000. [caption id="attachment_388" align="alignnone" width="298"] Specialist Contractor Mortgages for UK Contractors[/caption] Help to Buy and Buy to Let Loans for Contractor The other great thing about these specialist contractor mortgages is that you can get the offer just on production of your contract rather than three years worth of accounts. Contractors can also take advantage of the Government's Help to Buy scheme where the Government put up 20% of the mortgage interest free. Many contractors also take advantage of the Government's Buy to Let scheme to get their contracting money making money. They can get loans for these from lenders who partner with specialist contractor mortgage brokers who specialise in the contractor market. Production of a Contractor's Contract So, where can you find these specialist contractor mortgage brokers? 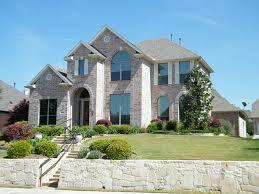 Click on Specialist Contractor Mortgage Brokers.